Have an optional bus route to Disneyland and Universal Studios Japan! Get the most value for your money by traveling from Tokyo to Osaka or Kyoto via the Night Highway Bus. 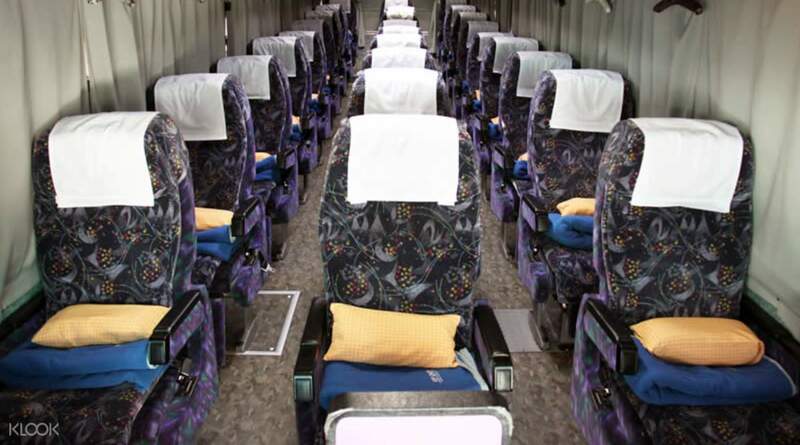 With blankets and pillows included, this is a comfortable and relaxing way to travel from city to city. The bus also makes stops at Universal Studios and Disneyland, so you can go straight from having a day of fun and excitement to a moment of peace and relaxation while heading home. Since you'll most probably be sleeping for most of the trip, you'll hardly even notice the travel time. Before the departure for the schedule of your choice, you can rest at the station's comfortable lounges while you wait. 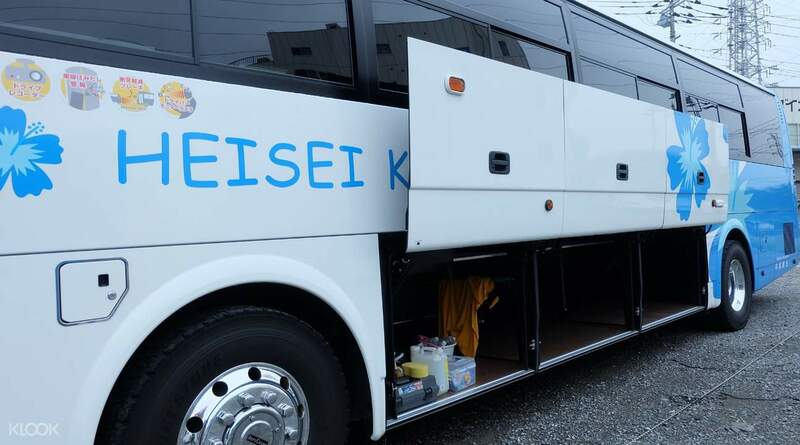 So book now to get one of the most economical and comfortable ways to travel from city to city in Japan. You can not bring musical instruments, animals, bikes, golf equipment, snowboards, etc. comfortable night bus. I was able to sleep well overnight. The most affordable transfer from Tokyo to Osaka. comfortable night bus. I was able to sleep well overnight. The most affordable transfer from Tokyo to Osaka. We booked a Women Only Bus and it depart at midnight from Tokyo. The ride from Tokyo to Osaka was smooth that we slept all the way. As soon as the bus depart, the lights will be turned off and you can sleep. There is also a divider between the seats and seats can be reclined. We booked a Women Only Bus and it depart at midnight from Tokyo. The ride from Tokyo to Osaka was smooth that we slept all the way. As soon as the bus depart, the lights will be turned off and you can sleep. There is also a divider between the seats and seats can be reclined. The ride is good.. It is so comfortable, slept at the start of the ride (12:40am) and woke up in the morning (07:05) straight.. got no back sores or anything.. they provided pillow and blanket.. they have a cushion for the back, and foot rest.. We rode the 4seater bus, 2 on each side.. there’s a curtain between the seats.. and you can recline the seat as if you are lying in a bed.. Tokyo vip lounge is very clean.. and full of manga comics.. you can even take a shower there for 500yen.. The only problem that we encountered is that the staff at the lounge are not that good in speaking in english.. one of the staff members was rude to me.. The ride is good.. It is so comfortable, slept at the start of the ride (12:40am) and woke up in the morning (07:05) straight.. got no back sores or anything.. they provided pillow and blanket.. they have a cushion for the back, and foot rest.. We rode the 4seater bus, 2 on each side.. there’s a curtain between the seats.. and you can recline the seat as if you are lying in a bed.. Tokyo vip lounge is very clean.. and full of manga comics.. you can even take a shower there for 500yen.. The only problem that we encountered is that the staff at the lounge are not that good in speaking in english.. one of the staff members was rude to me..
Easy of traveling. Don’t have to queue for ticket. Definitely worth it. Easy of traveling. Don’t have to queue for ticket. Definitely worth it. Amazing service! They leave on time, and surprisingly, the bus ride and seats are comfortable. You get privacy with curtains and you can also charge your phone at the usb port at the seat in front of you. Amazing service! They leave on time, and surprisingly, the bus ride and seats are comfortable. You get privacy with curtains and you can also charge your phone at the usb port at the seat in front of you. Tokyo VIP lounge was easy to locate. bus seats were comfortable and i really had a good night of sleep. very worth the price. Tokyo VIP lounge was easy to locate. bus seats were comfortable and i really had a good night of sleep. very worth the price. It was a very comfy and affordable experience 😊 tho we went there in Spring so it's quite chilly and stanby area is open air. Overall, it was pleasant. It was a very comfy and affordable experience 😊 tho we went there in Spring so it's quite chilly and stanby area is open air. Overall, it was pleasant. Lounge was comfortable, bus was nice and they took rest stops every 2 hours so you can use the toilet, get food or drinks or take a smoke. Journey took about 7 hours but it was super comfy! Lounge was comfortable, bus was nice and they took rest stops every 2 hours so you can use the toilet, get food or drinks or take a smoke. Journey took about 7 hours but it was super comfy!